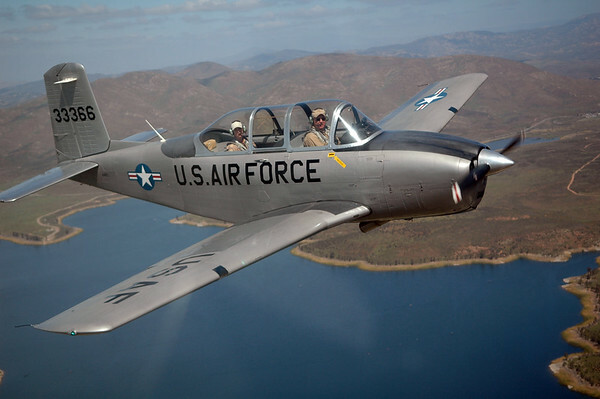 So, Dad flies with a group called San Diego Salute, which is a group of guys with T-34a Mentors who hire themselves out for air shows, flybys and scenic flights of the area. I’ve had the opportunity to fly with them twice now. The first time I took some video, but mostly shot stills as the light was quite good. The second trip, the overcast sky made shooting stills less inspirational, but I had learned from my poor video footage to put a smarter piece together. So, the link below is of stills from the first flight, and the video below is from the second flight. 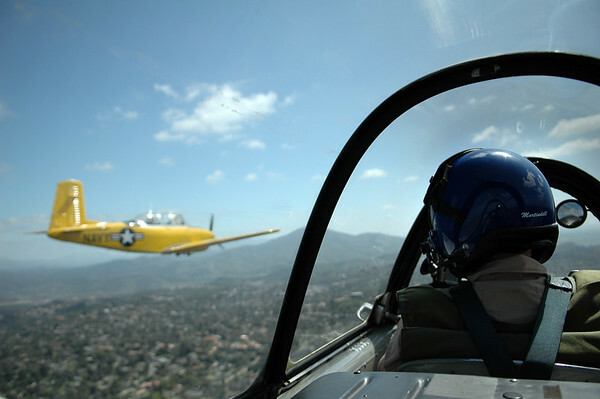 If you want to know more about hiring this crew to do a flyby for you check them out at http://www.sandiegosalute.org/. This entry is filed under: Air, Blog. You should wear that getup in BV. I'm sure they'd hand over the reigns.